Reason for reading: SRB is an all-time fave author and insanely funny! Sarah Rees Brennan secured her place as one of my favourite authors ever with her fantastically twisty, utterly brilliant The Demon's Lexicon trilogy and her parodies of various tv shows/movies (seriously, they're hilarious, I'm more excited that the return of TVD means the return of SRB's parodies than that I actually get to watch it again) so I was naturally insanely excited for Unspoken. Kami was such a fantastic character; headstrong and determined, possibly a little too curious for her own good, very witty and with just the right amount of quirk. She was everything you could want in a main character, she took risks and made decisions and had feelings about things that were happening, all of which brought you into her world and made you love her. One thing I love about SRB's books is that she focuses on the concept of relationships quite a lot, which is something I find intriguing. Not just the whole boy-meets-girl-they-fall-in-love thing, but the intricacies and dynamics of a variety of different relationships.I sometimes feel that relationships in YA can be a little one-dimensional and often rather cliche, as though it's the last thing on the author's mind, but they are like a central point in Sarah's stories I think that adds a richness to them. I loved the exchanges between Kami and Angela, who were clearly close friends, and then the addition of both Rusty, Angela's brother, and Holly, another of their friends, into the mix. While I loved the connections between the Lynburns, the Lynburns and the villagers and Kami and the various people in her life, it was the connection between Kami and Jared that interested me most, because both thought the other was imaginary...until they ran into each other in an elevator. I think SRB handled this aspect of the story, the relationship between Kami and Jared, superbly. Kami wasn't all "Oh hey, you're like, the person who knows me best in the world and, whaddaya know, you're kinda cute, let's go out". It was so much more complicated than that, so much to do with how you handle the idea of not knowing where your emotions end and the other person's begin, of whether anything you feel is actually genuine or the result of this bond that you have no control over and whether you can actually get past all that. It was interesting that Kami and Jared had such different approaches to their bond. Kami, who has always had stable, loving relationships in the form of friends and family, wanted the bond severed, wanted to see what remained when that was taken away, whereas Jared, who'd never had anyone in his life who cared about him apart from Kami was desperate to keep it. He idolised the idea of their bond, building it up to be proof that they were soulmates, destined to be together rather than the result of anything else. 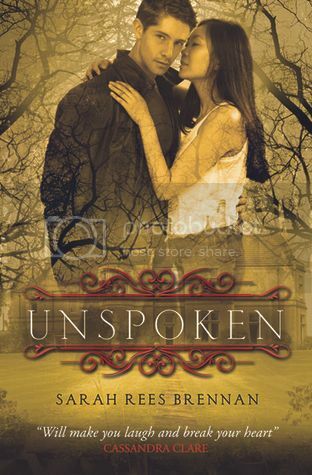 I wasn't really sure what to expect from a gothic mystery, but Unspoken definitely delivered. There was the mystery in the sense of Kami figuring out what the hell was going on in Sorry-in-the-Vale, but more so than that there were all the other, smaller mysteries that added up to create the big picture; just who or what are the Lynburns, what is Kami's mum hiding, why isn't Angela answering her phone and what is WITH that woman in the sweet shop? You never knew who to trust, who was lying, who had ulterior motives and whilst a lot of that was pieced together, there are still enough unanswered questions to make reading book 2 an enticing prospect. The gothic element was wonderfully captured through the mansion and the creepy, creepy dead stuff, but more than that through the atmosphere. Through the sense of foreboding that lingered at every turn and through the symbolism and spookiness captured in the writing style. Being a gothic mystery it was quite slow-burning, but I didn't have an issue with the pacing at all. I still found it exciting and gripping, I was still itching to get home and read more (because I got an eARC so I had to read it on my computer only and couldn't take it to work, sob). I think the pacing actually added to the whole atmosphere of the story. ‘ Kami wound her arm back, took careful aim, and threw. The “pebble” crashed through both glass and curtain. The end....I really can't write a review without mentioning it. Oh it was so perfect. I bet everrrryone hated it but it was the sort of ending I adore. It was so tragic, so fitting. I can't wait to see what happens in the second book off the back of it. So why is this not 5/5 I hear you ask, seeing as I loved it so? Well, it is really. There were just a few, totally personal niggles I had that reflect more on me than the book. Firstly, the writing felt a little off every now and again, and was quite Americanised in parts for a book based in the UK with mainly British characters, BUT I was reading a really early proof copy (and the US edition), so I'll be interested to see if that changes when I read my finished copy. Secondly, I figured out the vast majority of the plot before it happened. I am that annoying person that tries to figure out plots. I don't know why, I'm always disappointed when I'm right. But I'm also always disappointed when I'm wrong. I'm just awkward that way. And I was always so floored by everything that happened in The Demon's Lexicon trilogy that I expected A LOT from this book which, again, my own fault. What's that quote about expectation? So that is why it gets a 4, but really, it's worthy of a 5. Unspoken is an atmospheric, clevery crafted gothic masterpeice. If I could buy you all a copy, I would. But you will just have to settle with a giveaway for one! Because I loved it so much (and because I've been AWOL for so long) I'm gonna give one awaaaaay. 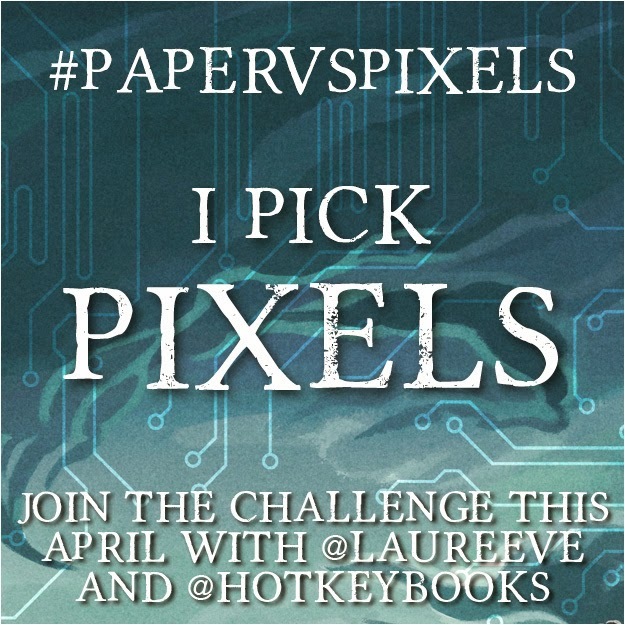 Just fill in the widget-y thing below, it's open internationally! Welcome back! And what a way to do it, with a giveaway and a great review of what sounds like an amazing book. I want to read this one! Sounds like such a great book. I feel the same way as you when it comes to trying to figure out the plot. I hate when I do, but I applaud the author when they come up to some totally unexpected ending that makes sense but no one would have seen it coming. Hi Cait! GREAT GREAT review. It's obvious that you're passionate about SRB and her writing, which makes me MORE excited to read UNSPOKEN. I'm ashamed I haven't read my ARC yet! I'm looking forward to meeting these characters, falling for a few, and laughing a lot. I LOVE Gothic stuff, btw. You said the bit about Jared and Kami SO well. About how she wants to know what it's like to not have him in her and if her emotions would change. I really wish I had written about that bit in my review, but I wrote it a couple days later so I kinda sucked at thinking of everything. But part of the whole back and forth of them loving and hating each other could be because of that whole thing but yet I still was frustrated (in a bad way) how Kami refused to acknowledge her feelings. But any of my complaints are pretty minor because I LOVED the characters so much and Kami and Jared knowing each other better than ANYONE since they were in the others head forever was great. I loved that they had that extra connection. This was a book that was hard for me to sort out just because what I loved, I LOVED SO MUCH. So when things did bother me I just wanted them to go away because this book had potential to be absolutely perfect. Oh well. It's an amazing book anyway. And I have to agree that it felt Americanized. I didn't think of it too much but I've read like three books that take place in England since then and they all have a much more British feel. Oh well though, not a biggie. Oh and I agree, it's the perfect mix of funny and gothic. It worked SO well! Hey! I'm Kim over at The Ya Book Geek, just letting you know that I've nominated you for the One Lovely Blogger Award. For more information feel free to check out my post http://theyabookgeek.blogspot.com.au/2012/09/one-lovely-blogger-award-happy-dance.html. Good luck! I'm reading it now and love it. I really love Sarah Rees Brennan's novels. I have not but it sounds so good. This sounds really fun. Hope it's ok to include it in my book giveaway round up post? I've not read the book yet so I desperately want it. This will probably be my first SRB book and I was hooked the moment I read the summary. Also tried the chapter sampler and I love the writing! I want, I want, I want!! Heard loads of good things about this book! Can't wait to get my hands on a copy! I want I want I want!! Heard so many good things about this book! Can't wait to get my hands on a copy! Oh, Americanisms with British settings and cultures. How I hate thee. Unless the plot's amazing, which it seems it might be. I really should read this soon. Thanks for the review! Great review, and the excerpt is a win. Thanks for sharing!